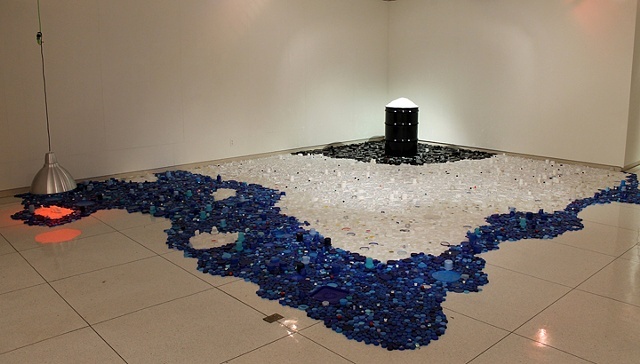 This installation is created using post-consumer plastic container caps made from petroleum. The caps create an "oil" spill originating at the oil drum. The plaster polar bear is floating on an iceberg and being heated directly by the red light. The work is intended to be seen in part as a landscape.